Wednesday, November 14 • Provocative Perspectives - What About Food? The midterm election is coming up and it's a really big one. With it come lots of questions: What makes a good judicial candidate? Where am I voting? Can I vote early? Who will be on my ballot? Etc. 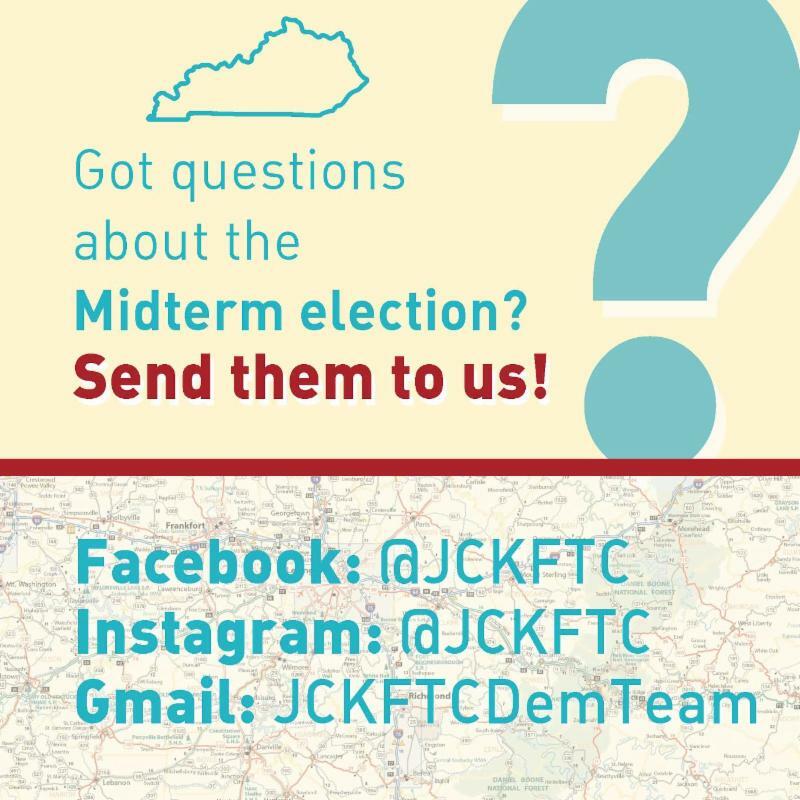 If you've got any election question—big or small!—send it on over to the folks at Jefferson County's KFTC Democracy Team! 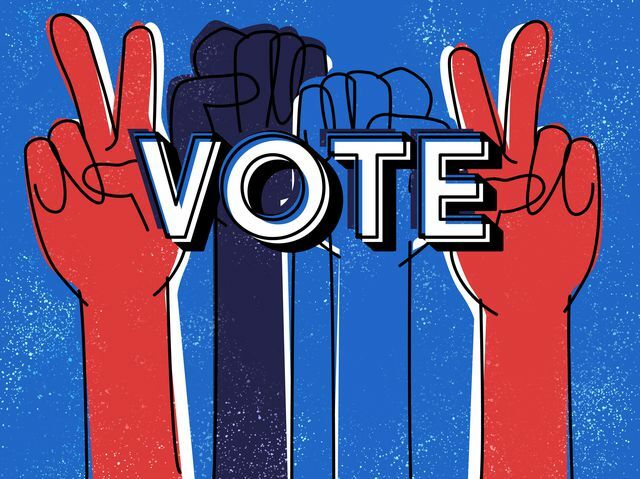 The team of people who interviewed and researched the candidates for the KFTC voter guide can fill you in on everything you need to know to cast an informed vote on November 6. Don't go to the polls with questions unanswered! The Democracy Team can help. 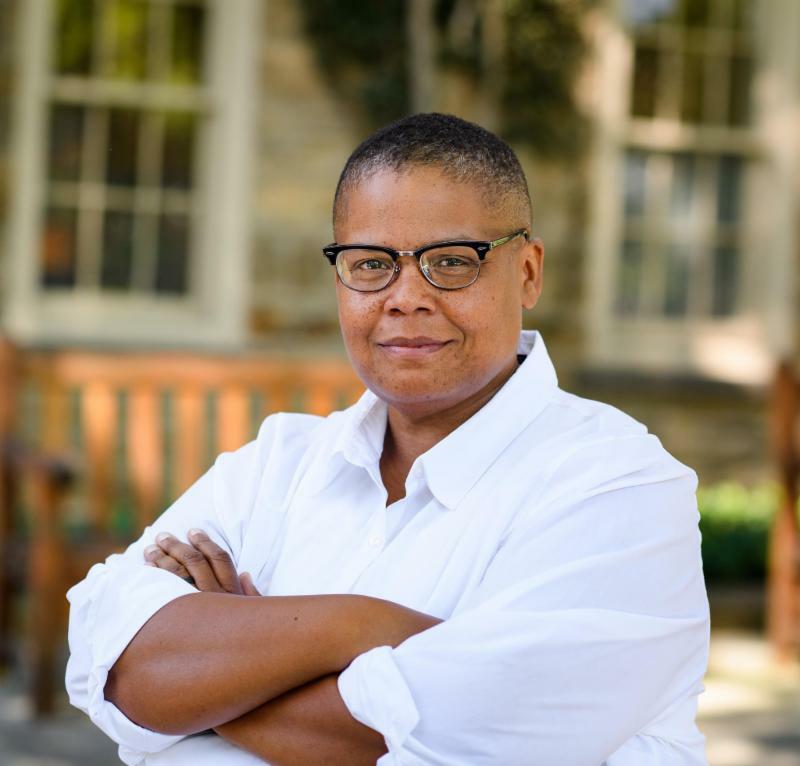 We are thrilled to announce Keeanga-Yamahtta Taylor as the 12th Annual Anne Braden Memorial lecturer. The author of two books, "From #BlackLivesMatter to Black Liberation" and "How We Get Free: Black Feminism and the Combahee River Collective," Keeanga-Yamahtta Taylor has been awarded the Lannan Foundation’s Cultural Freedom Award for an Especially Notable Book and the 2018 Lambda Literary Award for LGBTQ Nonfiction. From #BlackLivesMatter to Black Liberation surveys the historical and contemporary ravages of racism and persistence of structural inequality, while connecting anti-police brutality protests with a larger anti-capitalist movement. Race matters. Class matters. As always, the lecture is free and open to the public. This event is located in UofL's Strickler Hall Auditorium. Please join us for our second annual Social Justice Symposium on Friday, Nov. 2, where scholars and community partners will discuss how to translate social justice research into practice. Keynote speaker Dr. Alvaro Huerta holds a joint faculty appointment in Urban & Region Planning (URP) and Ethnic & Women’s Studies (EWS) at California State Polytechnic University, Pomona, and specializes in community & economic development, LatinX studies, and immigration. 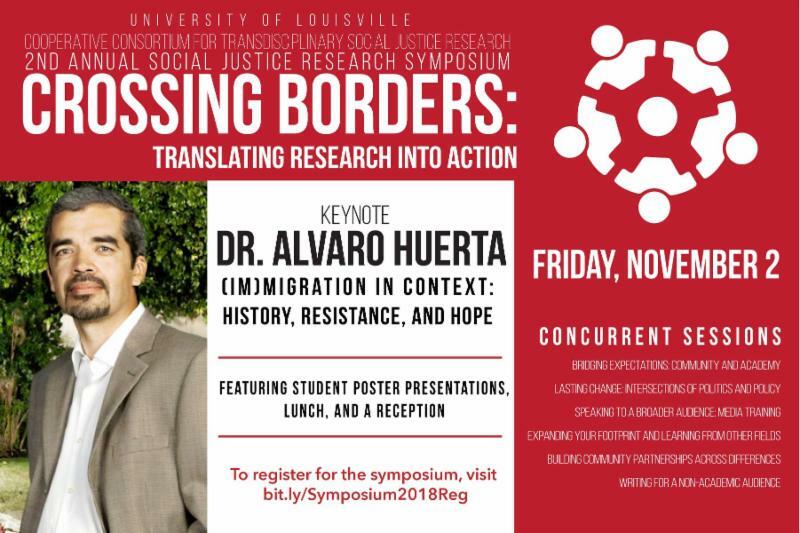 Dr. Huerta will deliver the Symposium’s keynote, titled (Im)migration in Context: History, Resistance, and Hope. The Symposium will feature concurrent sessions focused on social justice topic areas, including bridging community and academy, building community partnerships, effective communication and circulation of research, working with transdisciplinary teams, and using research to inform policy and practice. The Symposium will also feature a poster session, highlighting student research and providing an opportunity to learn about the social justice research occurring at the University of Louisville and within the community. The Symposium provides a wonderful opportunity to network with social justice researchers, students, faculty, and community partners, learn about current Consortium projects, and engage in conversations about promoting social justice in our research, practice, and policy. multiple clergy and faith leaders, over 20 elected officials and candidates from the area, and people from across the state. 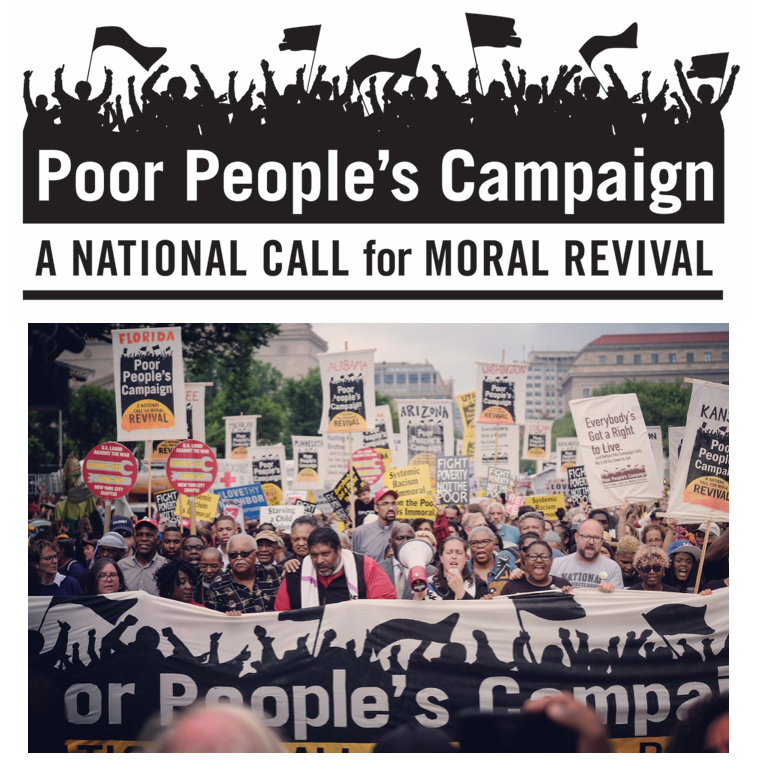 The Poor People’s Campaign: A National Call for Moral Revival is building a broad and deep national moral movement – rooted in the leadership of poor people and reflecting the great moral teachings – to unite our country from the bottom up. Coalitions have formed in over 40 states and Washington, D.C., to challenge extremism at the local, state, and federal level and to demand a moral agenda for the common good. It seeks to sustain and deepen the work of challenging the interlocking evils of systemic racism, poverty, the war economy, ecological devastation and the nation’s distorted moral narrative. 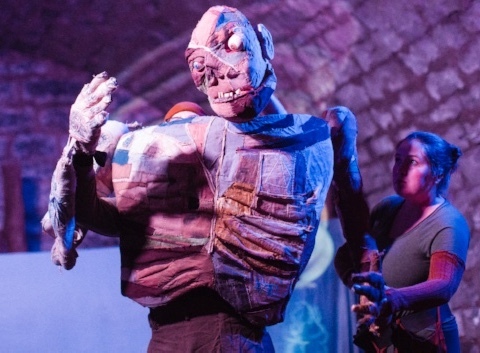 CREATURE is a 50-minute adaptation of Frankenstein that uses live music, puppetry & projection to tell a story filled with human connection, wretchedness & wonder. This imaginative retelling of Creature's origin story features a 7-foot-tall Creature, live rock & roll accompaniment, tabletop puppetry, shadow play & projected imagery. Timed to coincide with the 200th anniversary of the novel's publication, our adaptation seeks to restore the intelligence, grace & violence with which the novel's author Mary Shelley originally imbued it. Follow Creature from its birth to its travels through the wilderness where it faces choices that will define it as human or monster. PRESENTED BY: The Mary Shelley Electric Co .
AGE RECOMMENDATION: Adults & brave children ages 8 & up. Supported in part by The Jim Henson Foundation and The Kentucky Arts Council . 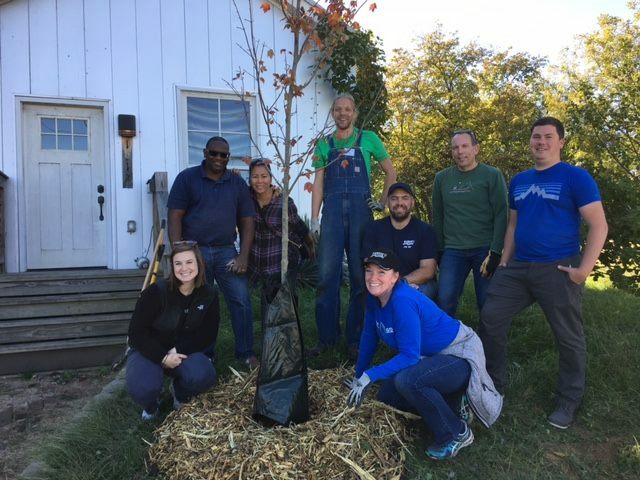 Please join us on November 3rd for our 14th Neighborhood Tree Planting event as we plant trees in Louisville's historic Portland neighborhood! We are in need of 200 volunteers! Come out for a great day of community building while playing in the dirt to make our community greener! Looking for a solid resource to inform your ballot choices? Kentuckians For The Commonwealth's voter guide website, KentuckyElection.org, has been updated for the November 6 election, and it has been rebuilt from the ground up with many new features. Now visitors to the site will be able to enter their voting address and see their entire ballot from Congress all the way down to school board. For the races our members have surveyed you can read the responses we received from candidates. This year we collected over 200 survey responses, the most we've ever had in the 13 years that we've been surveying candidates. In addition to our survey responses, visitors will be able to see candidate websites, social media pages, endorsements, and other issue positions where available. He was elected as the 8th District Metro Councilman in November 2016 and took office on January 2, 2017. He represents the neighborhoods of Belknap, Bonnycastle, Bowman (Seneca Vista), Cherokee Seneca (Alta Vista), Cherokee Triangle, Deer Park, Gardiner Lane (Upper Highlands), Hawthorne, Hayfield Dundee (Upper Highlands), Highlands Douglass, (Original) Highlands and Tyler Park; and parts of Cherokee Gardens, Germantown and Irish Hill. He also represents the home rule cities of Kingsley, Seneca Gardens, Strathmoor Manor and Strathmoor Village. He currently serves as a member of the Committees on Parks and Sustainability (Vice Chair) and Public Works, Facilities, Transportation & Accessibility. His record, including boards, committees and sponsored legislation, can be viewed here. Brandon is an attorney, consultant and civic volunteer. He is a trustee of the Norton Foundation, and he is a past director on the boards of Louisville Public Media, Brightside and the Kentucky College of Art and Design at Spalding University. Brandon also co-chaired the capital campaign at Louisville Public Media. Join us for an evening of live music including a special performance by Ben Sollee and Cynthia Fletcher, hors d’oeuvres and cocktails as we present the inaugural Lee Thomas Champion for Change Award. 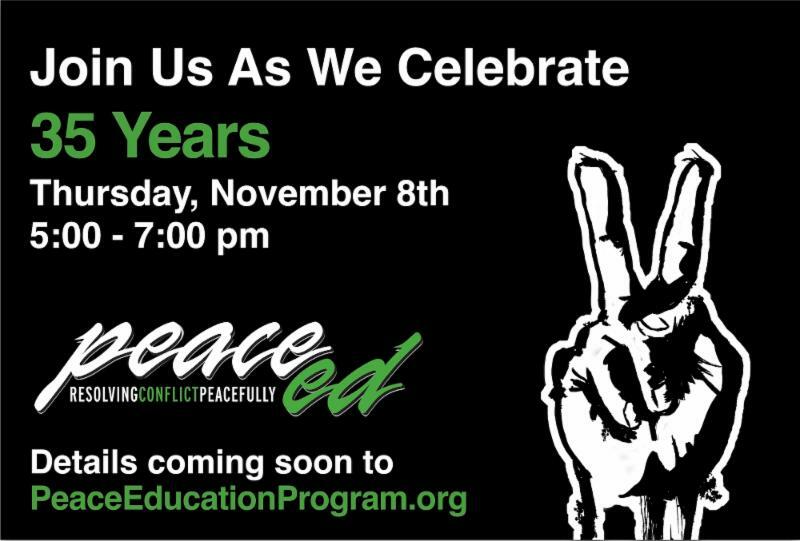 You are invited to participate in this celebration of Peace Ed’s 35 years of victories over violence with all the people who make peace possible throughout our city. Each day, Peace Ed's trainers partner with youth and the adults who serve them in schools and community sites across our community to foster skills that de-escalate conflict and prevent violence. Thanks to our work, thousands of people in Louisville are able to reject violence and choose peaceful ways of solving their problems. From the streets, to the hallways, to boardrooms, Peace Ed alums are Champions for Change who continue to put their skills into practice in meaningful ways. Join us as we celebrate them all! $7 per child • Call 502-458-1328 to register or for any questions. 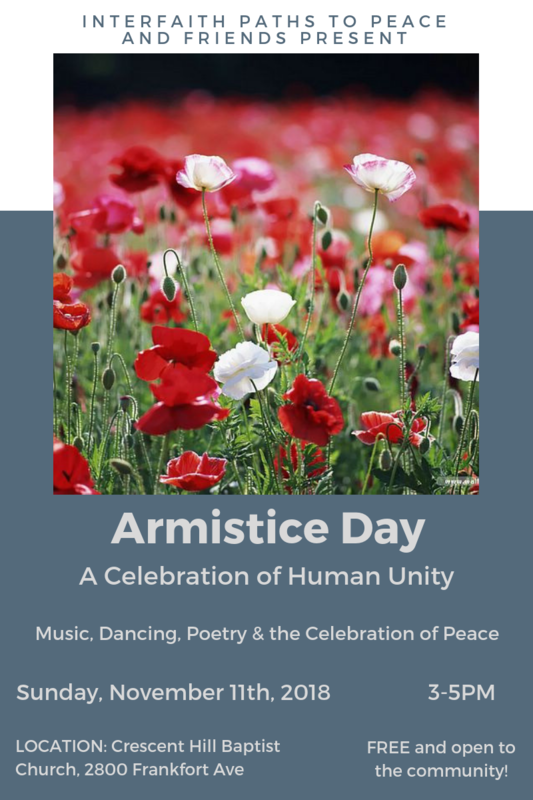 Join us as we celebrate peace with a special Armistice Day program, complete with music, poetry, and dancing! Performances include John Gage, Misha Feigin, and more! 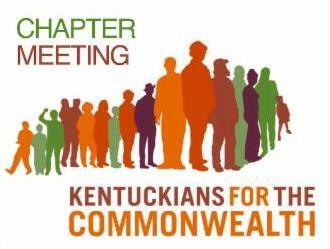 Join the Jefferson County Chapter of Kentuckians for the Commonwealth at their monthly meeting! If you are looking for a growing base of fun-filled committed community leaders to share your talents with, look no further! 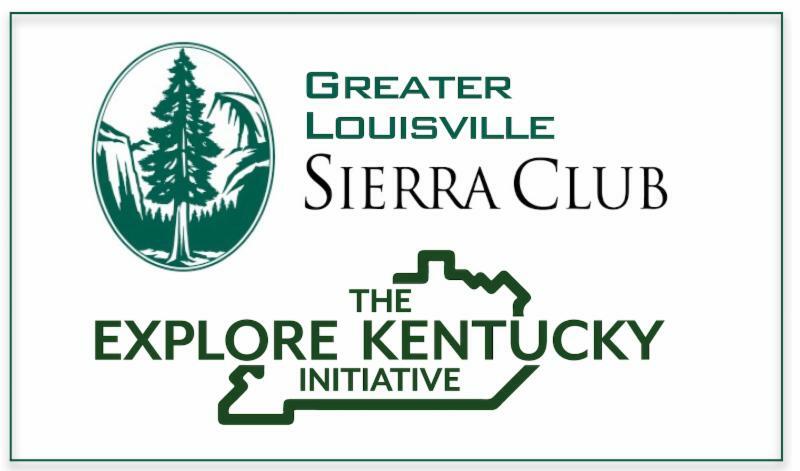 The Jefferson County Chapter hosts over two thousand members from all over Louisville, Oldham County and across the bridge in southern Indiana. Our chapter hosts both the young and experienced from many different walks of life. While actively supporting all of KFTC’s statewide campaigns, members in our chapter also have worked on local campaigns around air quality, economic justice, and more. First Unitarian Church is wheelchair accessible, and this meeting will be potluck style so bring a dish to share if you're able! If you have any further questions about the space, or if there is something else we can do to make these meetings accessible for you, please don't hesitate to get in touch. Transportation is provided. The space is not wheelchair accessible. If you need a ride, LSURJ members will be offering them, so don't be shy. Just message the LSURJ page. We want to see you at this event! Showing Up for Racial Justice (SURJ) is a national network of groups and individuals organizing white people for racial justice. Through community organizing, mobilizing, and education, SURJ moves white people to act as part of a multi-racial majority for justice with passion and accountability. We work to connect people across the country while supporting and collaborating with local and national racial justice organizing efforts. SURJ provides a space to build relationships, skills, and political analysis to act for change. More information can be found here. While it is an independent entity, Louisville SURJ draws inspiration from the national SURJ effort. More information can be found here. On April 4th we started our new conversation series “Provocative Perspectives” in partnership with The Community Foundation Of Louisville. Each event features a guest Provocateur opening dynamic group discussions about pressing issues impacting the future of our city. 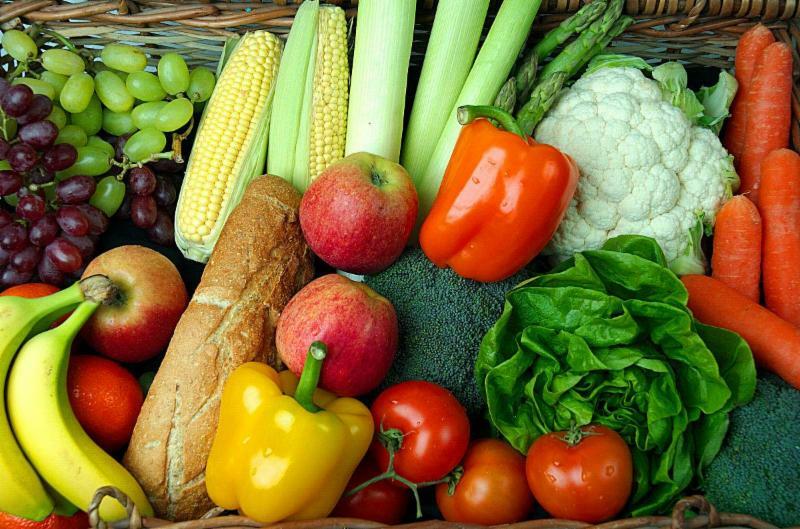 Our next Provocative Perspectives topic will be: “What About Food?”. Our guest provocateur will discuss her perspectives on opportunities for making food more accessible throughout our city. 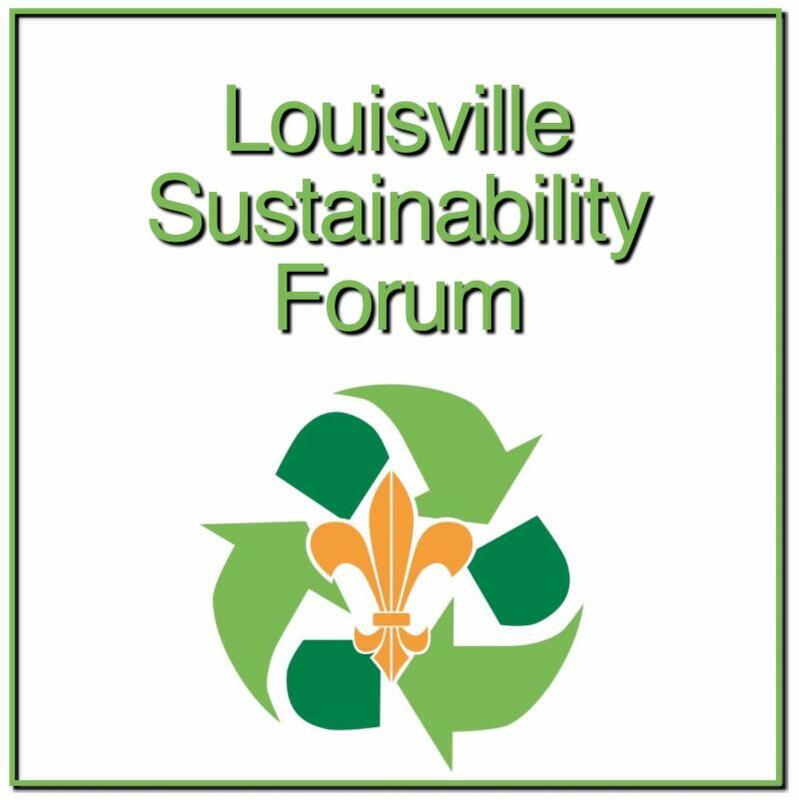 Come network, learn from and celebrate neighborhood development and community building success stories from across Louisville and beyond. 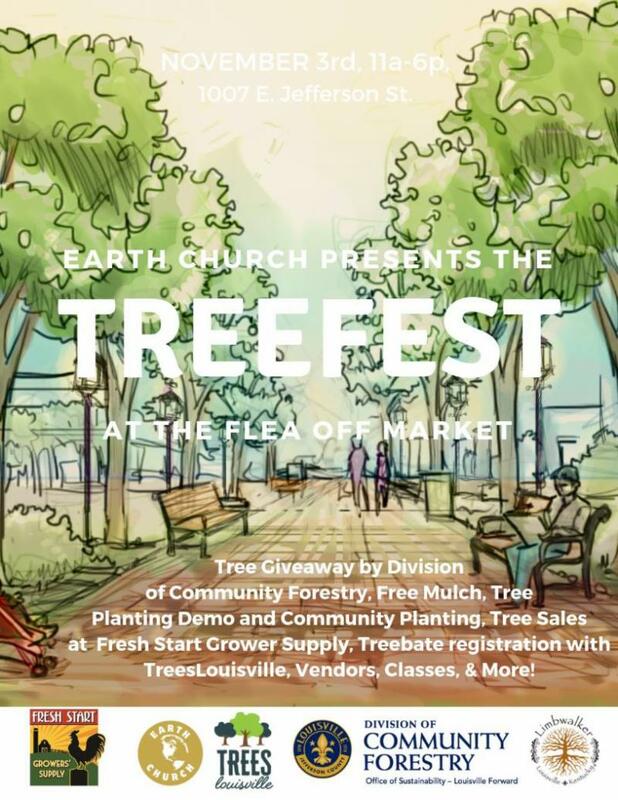 If you are interested in building healthy, sustainable, safe, and attractive neighborhoods in Metro Louisville, this is the event for you! Animals must migrate, hibernate, or stay active to survive the cold months ahead. Play the On Your Own Challenge to help them make the right decisions. The E-C-O stands for Every Child Outside, and that’s exactly where kids can be found during ECO Kids Discovery Days! 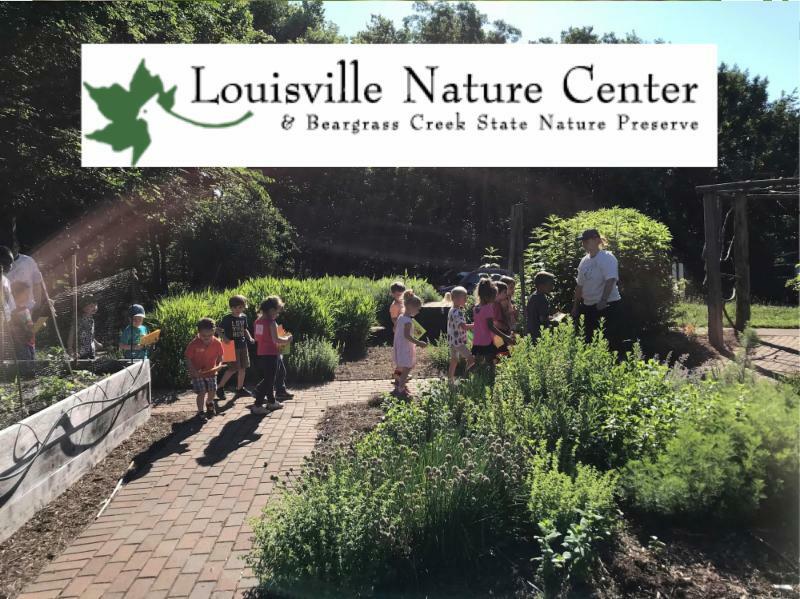 • Hands-on Discovery Stations,led by Volunteer Naturalists, from 1 – 4 P.M.
• On Your Own Challenge, a self-guided adventure, available from 9 A.M. – 5 P.M. Celebrating the 4th year since the River Road Mosque's community clean-up effort! 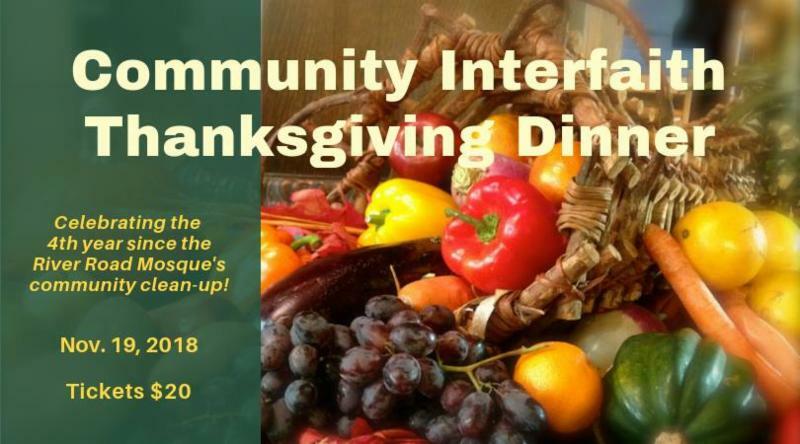 Join us at Temple Shalom for an evening of interfaith dialogue and understanding as members of Louisville's interfaith communities offer prayers from their respective faith traditions, followed by a vegetarian dinner in the spirit of Thanksgiving. Presented by Interfaith Paths to Peace in partnership with Crescent Hill Baptist Church, Louisville Islamic Center of Compassion and Temple Shalom. A portion of the proceeds will benefit Dare to Care Food Bank. Scholarship tickets are available. Please email interfaithpaths@gmail.com for information. Free parking is available at Temple Shalom. The goal of EKI is to uplift Kentucky’s people and natural spaces. 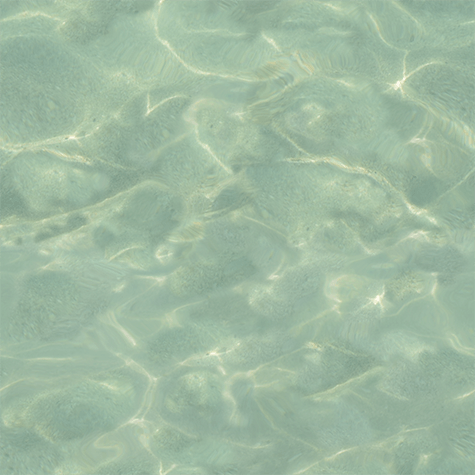 By embracing environmentalism, outdoor recreation, diversity & inclusion, storytelling, and collaboration, EKI seeks to create programs, events, media, and action campaigns that are rooted in social artistry and intersectionality, thus preserving the environmental and cultural resources of the commonwealth’s 120 counties. 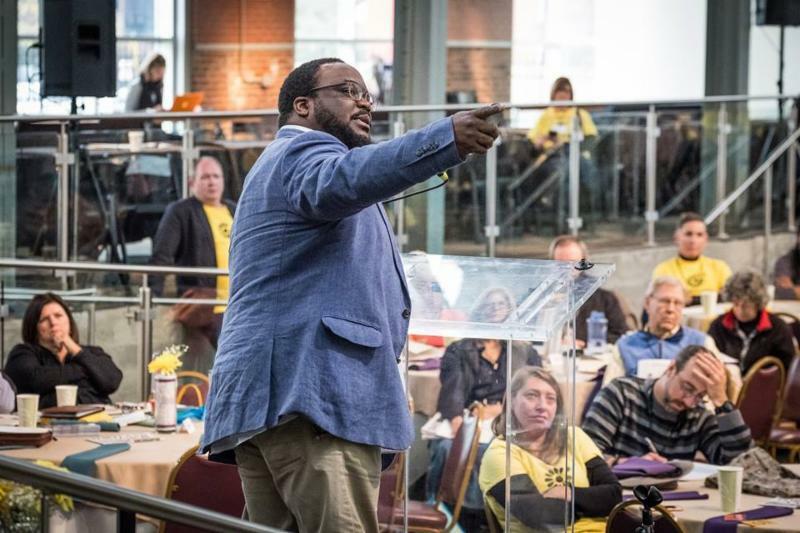 Gerry James is the founder of The Explore Kentucky Initiative. He also serves on the steering committee for the Kentucky Rural Urban Exchange. Since 2011, Gerry has helped to further the field of adventure tourism and community and cultural exploration across Kentucky. His work has found him embedded in many rural Kentucky communities for initiatives that include outdoor recreational events, branding initiatives, and conservation projects. Gerry is an avid paddler and also a storyteller who uses photography, cinematography, and journalism to tell stories about the landscapes and people he encounters in his travels across the state. Please join us for this informative program. Our programs are always free and open to the public. Follow this link to our Facebook event! 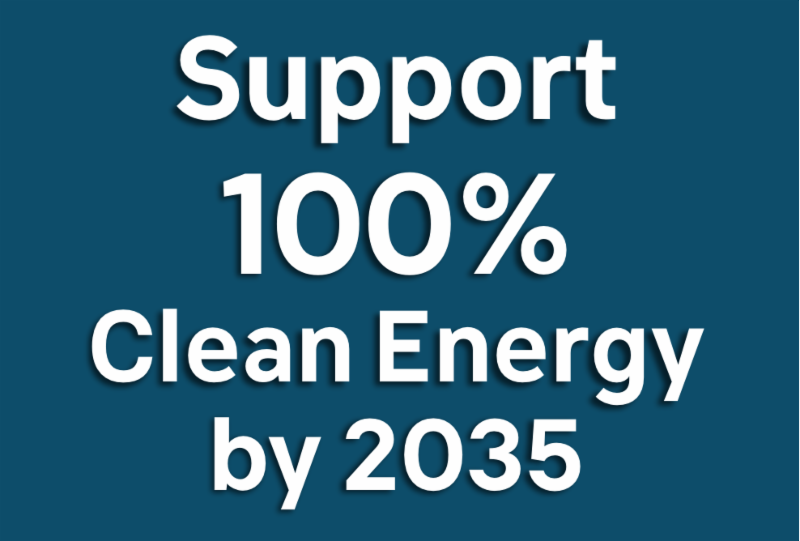 to transition to 100% renewable energy! At the request of organizers of the "Rise for Climate Jobs and Justice" rally on September 8, Metro Council President David James has introduced a “Resolution for 100% Clean Energy for Metro Louisville.” On November 29th and December 13th , it is scheduled to be heard by the Parks and Sustainability Committee: Chair Cindi Fowler (D-14), Brandon Coan (D-8), James Peden (R-23), Glen Stuckel (R-17) and Vicki Welch (D-13). Want to advocate for its passage? · Read the resolution , and these talking points . · Write, email , call (574-1100) or visit a Parks and Sustainability Committee member to share why their support for the resolution matters to you. · Submit a letter to the Courier Journal editor ( cjletter@courier-journal.com ). 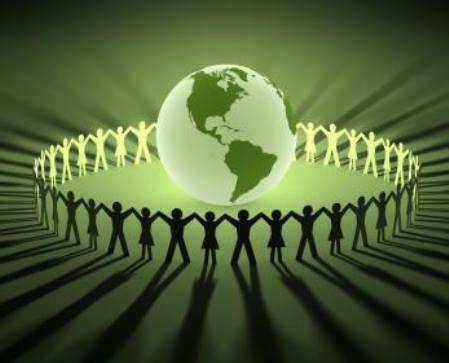 · Attend one or both committee meetings to show your support. Signs will be provided. · Attend any or all regular Metro Council meetings to support those speaking for the resolution. There will be at least one speaker at each meeting until a vote is taken. Signs provided. The time period for the public to address the council occurs at the beginning of each meeting, so no need to stay for the whole meeting. · Attend the meeting whenever the resolution will be considered by the full council. We will notify everyone of when that is (assuming adequate advance notice is received). · Speak for three minutes in support of the resolution at any regular Metro Council meeting. If you’d like to do this, there is a process, so please contact Sam Avery first. All Council meetings are held on the 3rd floor of 601 W. Jefferson St. (enter from 6 th St.). Get more info on Metro Council meetings here .